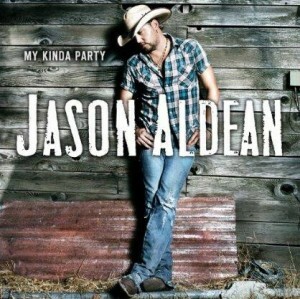 It’s probably no surprise by now I’m a Jason Aldean fan. If you’ve been a reader of CML for a bit (and if not stick around a while) you know I write about Jason’s songs quite a bit. I think it was somewhere around Big Green Tractor when he took on a bigger roll in country music besides the guy with a few big hits. That song took him to the next level. The trick for most artists with a big hit like that is taking the momentum and building. With his last album Jason took the momentum and knocked a home run out of the park. The album cuts on My Kinda Party are great and another song from the set is Country Boy’s World . The song is another great song. I’m pulling for it to be a single. Perhaps it’ll be the fourth single from the album later this year. We’ll have to wait and see, but I’m hoping. With Country Boy’s World I think Jason was aiming for a little repeat Big Green Tractor success. The song covers a similar topic and has a similar kind of sound. By no means is the song a copy. Country Boy’s World is its own song and it’s a damn good country song. The song is about Jason bringing a city girl back to his country hometown. He gets her acquainted with his kind of living and she gets hooked. The romance begins and she can’t leave the country boy’s world she’s come to love. It’s a sweet song with a simple romance about a boy and girl falling in love despite different upbringings. I think Jason is hitting on a good song formula by singing about the simple love stories. Hopefully this one becomes the next single.